SHORT CV-EN-Mario Aristide LENZI is Full Professor and Head of the Water Resources, Soil and Watershed Protection Research Group at the Department Land, Environment, Agriculture and Forest (L.E.A.F. ), University of Padova since 2005, where he teaches "Fluvial morphology, stream and river restoration", "Hydraulic hazards and land protection". His research interests include: monitoring and modeling hydro-morphological processes at different spatial and time scales; sediment and large wood transport, dynamics, monitoring and modeling; linking river-stream riparian vegetation and morphology; river and stream restoration; wood and fluvial ecosystems; debris flow and large wood hazard assessment; assessment sediment yield and sediment budget in mountain catchments; filtering retention check-dams; flow resistance and local scouring processes at grade-control structure. For more than a decade, he has focused increasingly on the interactions among wood, channel and floodplain processes and river ecosystems function, with a current research focus on relationships between woody vegetation and geomorphological patterns in gravel-bed and mountain rivers, with different intensities of anthropogenic disturbance. He has recently organized and chairman of the 3rd International Conferences WOOD in WORLD RIVERS 2015 (WWR3 2015); University of Padova, July 6-10, 2015. Since 2005 - Full Professor of “Fluvial Morphology and River Restoration”; UNIPD, Italy. Since 2008 - Lecturer of "Mountain Fluvial Morphology and Stream Restoration" at the European Erasmus-Mundus MSc SUFONAMA; UNIPD, Italy. 2011 to 2013 - Director of PhD School "Land, Environment, Resources and Heald"; UNIPD, Italy. 2003 to 2010 - Scientific Coordinator of the PhD Programme in “Environmental Watershed Management and Geomatic”, UNIPD; Italy. 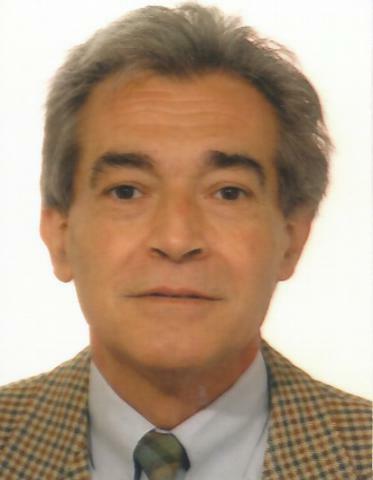 2003 to 2009 - President of the Degree - Course Board “Land Protection and Maintenance", School of Agriculture, UNIPD, Italy. 2006 to 2007 - Lecturer at the MSc Course “Watershed Managment and Soil Erosion Control”, University of Palermo; Italy. 2003 to 2005 - Lecturer at the MSc Course “Hydro-Geological Hazard Assessment and Mitigation”, School of Agriculture, UNIPD, Italy. 2007 - Lecturer at the MSc Course “Morfologia y procesos en rios de montaña”, Universidad Nacional de la Patagonia “San Juan Bosco” Trelew, Argentina. 1982 - International Specialization in Hydrology, UNIPD, Italy. 2010 - University Austral, Valdivia, Chile. 2002 - Colorado State University, Fort Collins, USA. 1998 - Hydraulic Laboratory of Wallingford, Oxford, UK. 1997 - Lecturer at the European Summer School, Session “Sediment Transport Assessment” Switzerland. 2009 - University of Concepciòn, Chile. 2002 - University Austral of Chile, Valdivia, Chile. 2001 - University of Tucuman, Argentina. 2000 - University of Litoral, Santa Fe, Argentina. 1993 - University of Cuyo, Mendoza, Argentina. 1- Picco L., Sitzia T., Mao L., Comiti F., Lenzi M.A. (2016) Linking riparian woody communities and fluviomorphological characteristics in a regulated gravel‐bed river (Piave River, Northern Italy). Ecohydrology 9: 101-112. IF (2013): 2.426 - SC JCR/ISI: Water Resources (Q1). 3- Kaless G., Mao L., Moretto J., Picco L., Lenzi M.A. 2015. The response of a gravel-bed river planform configuration to flow variations and bed reworking: a modelling study. Hydrological Processes 29, 3812-3828. DOI: 10.1002/hyp.10504. IF (2014): 2.677 - SC JCR/ISI: Water Resources (Q1). 4- Ravazzolo D., Mao L., Picco L., Lenzi M.A. (2015) Tracking log displacement during floods in the Tagliamento River using RFID and GPS tracker devices. Geomorphology 228: 226-233. IF (2014): 2.785 - SC JCR-ISI: Geosciences-Multidisc. (Q1). 5- Ravazzolo D., Mao L., Picco L., Sitzia T., Lenzi M.A. 2015. Geomorphic effects of wood quantity and characteristics in three Italian gravel bed rivers. Geomorphology 246, 79-89. DOI: 10.1016/j.geomorph.2015.06.012. IF (2014) 2.785 - SC JCR-ISI: Geosciences-Multidisc. (Q1). 6- Sitzia T., Picco L., Ravazzolo D., Comiti F., Mao L., Lenzi M.A. (2015) Relationships between woody vegetation and geomorphological patterns in three gravel-bed rivers with different intensities of anthropogenic disturbance. Advances in Water Resources doi: 10.1016/j.advwatres.2015.11.016. IF (2014): 3.417 - SC JCR/ISI: Water Resources (Q1). 7- Ulloa H., Iroumé A., Picco L., Korup O., Lenzi M.A., Mao L., Ravazzolo D., 2015. Massive biomass ﬂushing despite modest channel response in the Rayas River following the 2008 eruption of Chaitén volcano, Chile. Geomorphology 250, 397–406, (2015), DOI: 10.1016/j.geomorph.2015.09.019. IF (2014) 2.785 - SC JCR-ISI: Geosciences-Multidisc. (Q1). 8- Kaless G., Mao L., Lenzi M.A. (2014) Regime theories in gravel-bed rivers: models, controlling variables, and applications in disturbed Italian rivers. Hydrological Processes 28: 2348-2360. IF (2013): 2.696 - SC JCR-ISI: Water Resources (Q1). 9- Moretto J., Rigon E., Mao L., Delai F., Picco L., Lenzi M.A. (2014) Short-term geomorphic analysis in a fluvial disturbed environment by fusion of LiDAR, colour bathymetry and DGPS survey. Catena 122: 180-195. IF (2013): 2.482 - SC JCR-ISI: Water Resources (Q1). 10- Moretto J., Rigon E., Mao L., Picco L., Delai F., Lenzi M.A. (2014) Channel adjustments and vegetation cover dynamics in the Brenta River (Italy) over the last 30 years. River Research & Applications 30: 719–732. IF (2013): 1.971- SC JCR-ISI: Water Resources (Q1). 11- Picco L., Mao L., Rainato R., Lenzi M.A., (2014) Medium-term fluvial island evolution in a disturbed gravelbed river (Piave River, Northeastern Italian Alps). Geografiska Annaler: Series A, Physical Geography 96, 83-97.DOI:10.1111/geoa.12034:1.15-SC JCR-ISI:Geography Physical (Q3). 12- Picco L., Mao L., Cavalli M., Buzzi E., Rainato R., Lenzi M.A. (2013) Evaluating short-term morphological changes in a gravel-bed braided river using terrestrial laser scanner. Geomorphology 201: 323-334. IF (2013): 2.577 - SC JCR-ISI: Geosciences-Multidisc. (Q1). SHORT CV-ENGLISH-Mario Aristide LENZI is Full Professor and Head of the Water Resources, Soil and Watershed Protection Research Group at the Department Land, Environment, Agriculture and Forest (L.E.A.F. ), University of Padova since 2005, where he teaches "Fluvial morphology, stream and river restoration", "Hydraulic hazards and land protection". His research interests include: monitoring and modeling hydro-morphological processes at different spatial and time scales; sediment and large wood transport, dynamics, monitoring and modeling; linking river-stream riparian vegetation and morphology; river and stream restoration; wood and fluvial ecosystems; debris flow and large wood hazard assessment; assessment sediment yield and sediment budget in mountain catchments; filtering retention check-dams; flow resistance and local scouring processes at grade-control structure. For more than a decade, he has focused increasingly on the interactions among wood, channel and floodplain processes and river ecosystems function, with a current research focus on relationships between woody vegetation and geomorphological patterns in gravel-bed and mountain rivers, with different intensities of anthropogenic disturbance. He has recently organized and chairman of the 3rd International Conferences WOOD in WORLD RIVERS 2015 (WWR3 2015); University of Padova, July 6-10, 2015.